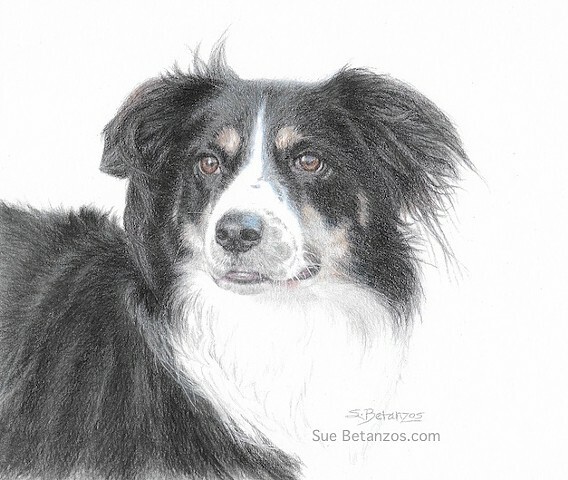 Colored Pencil dog portrait of Australian Shepherd Faeyre. Her lovely wise gaze is patient, waiting for the next adventure. Hand drawn on Strathmore mixed media paper with Prismacolor premier pencils and Faber Castell polychromes. Each drawing and painting comes with a certificate of authenticity. The drawings will also come in a crystal clear sleeve. Free shipping in the USA via USPS with tracking. Each artwork is carefully packaged in a sturdy mailer or USPS box. I love drawing and painting animals, especially dogs!